During the late 1800’s, the population of Denver Colorado was exploding. 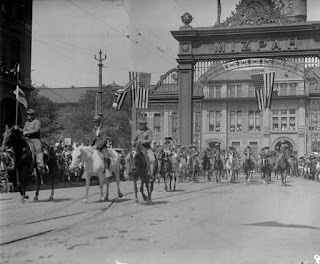 The popularity of railroad travel and the connection of the transcontinental railway to Denver resulting in large amounts of travelers and a rapid rate of growth. But with four different railroad companies now carrying passengers, a problem arose. Transferring passengers and freight between railroad lines required traipsing dirt paths between the four different stations became glaringly inconvenient. To resolve this problem, the four companies came together and agreed to build a joint terminal to combine the operations. 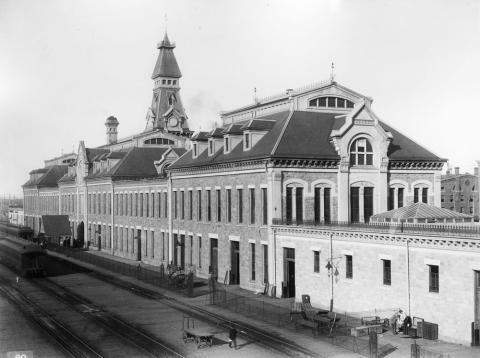 Plans for the historic Denver Union Station were underway. The companies selected a promising location and hired A. Taylor from Kansas City as the architect. The station was designed in a Romanesque style using rock from quarries around the state. The foundation and walls were built with stone from the Castle Rock area, while the sandstone trip came from areas like Morrison, Colorado. $525,000 dollars later (about what it would cost to build 750 four room houses), the Union Depot opened in June of 1881 as the largest building this side of Kansas City. It turned out to be a great move on the part of the railroad companies, as well as a benefit for Denver. Just a few years after the completion of the station, Denver’s population had grown to be ten times its pre-1881 size. Courtesy of Denver Public Library - Used by Permission. 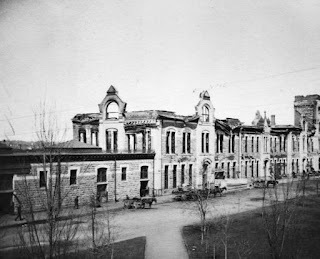 Only 13 years after completion, March of 1894, an electrical fire ignited in the ladies’ restroom and destroyed much of the original structure, however they were able to reopen the main areas the following day. Rebuilding commenced immediately. This time the clock tower was built of stone rather than wood and it was raised 40 feet taller than the original. In 1906, a metal archway was constructed to welcome travelers. Originally it said ‘welcome’ on both sides, but soon the welcome was replaced with the Hebrew word Mizpah, which means “may the Lord watch between you and I while we are apart.” This arch was dismantled during the Great Depression due to financial and safety concerns. The station underwent more improvements throughout the years, but it became an icon of the American West, welcoming Presidents, foreign queens, celebrities and millions of people through its doors. This beautiful station is one of the settings for a pivotal scene in my new release, Solve by Christmas. It was so much fun to incorporate it into the story. Great post! Having grown up in NJ I knew about NYC's Union station. I didn't realize there were others in the country. Loved the pics. Thanks, Linda! 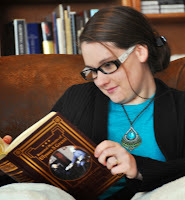 I love pictures too and I was so happy the DPL gave me permission to share these with the article. Thanks for stopping by! 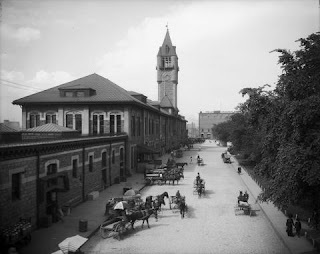 Informative and great post about Denver's Union Station. I've visited a couple Union Station here in the midwest but didn't know any of this history. Thanks for sharing and the pictures added alot. Thanks, Marilyn. I'm so glad you found the post interesting. Thanks for commenting.